The Austrian Team will be creating a newsflash video every day during the YOTA Camp in Austria. Here’s a little teaser of what’s to come. Stay tuned for more! This Saturday, 16th of July, already the 6th edition of Youngsters On The Air will take place. Over 100 youngsters from 30 member societies, including an IARU Region 2 team from USA, will travel to Wagrain in the Austrian mountains. This edition will be organized by OeVSV which is proudly celebrating their 90th anniversary. The youngsters will be having a lot of fun with amateur radio, there will be many workshops, they will be optimizing their skills in electronics and contesting and will make new international friends. To name some activities from the exciting program: SOTA, COTA, propagation in an ice cave, homebrew HF antenna and using the same antenna in the mountains as a SOTA station, HAMNET, working with a Raspberry Pi and making a WSPR beacon out of this or use it with DV4mini for digital voice and the famous intercultural evening where everyone brings food and drinks from their home country. On Monday 10:25 UTC there will even be a telebridge ARISS contact with astronaut Jeff Williams KD5TVQ, which will give the youth an unforgettable experience. All this is only a small selection of the program. More info and real live updates of the event are available here. If you would like to make a QSO with one of the youngsters, listen for OE2YOTA which will be on air on most bands in several modes. Please read the entirety of the attached PDF, it contains IMPORTANT information about the YOTA camp! 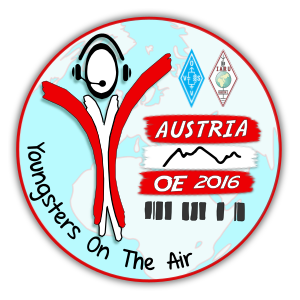 As you probabbly already know, the sixth edition of the Youngsters on the Air (YOTA) conference will take place in July 2016 in Wagrain, Austria. Over 100 young amateurs from all IARU regions will gather in the Austrian Alps to participate in a series of programs and workshops about amateur radio as well as inter-cultural exchanges and social interaction. Gatherings such as YOTA exemplify the ability of amateurs to work together across national borders and ethnicities in the best “ham spirit” of friendship. Today we got the good news that the Yasme Board is pleased to assist in helping young amateurs attend this meeting that otherwise would be unable to attend. Read all about it in the official YASME press release! As you know, we want to give our international visitors opportunities they would not have elsewhere and we want to make the experience unforgettable. The Austrian amateur radio society has been celebrating their 90 years of existence by looking back at their past. Now, we are ready to look at our future and will do so at the ham-radio fair in Friedrichshafen by celebrating the OEVSV’s 90th anniversary and by setting the Youngsters On The Air program as its top priority not only for this year but for the future of existence. We hope to meet lots of youngsters at the booth of OEVSV and YOTA in hall A1! Of course we will try to raise some more money from sponsors and donations at the Ham-Radio to be able to make the camp even better and offer you the best possible experience with gadgets such as raspberry pi computers and more! Make sure to come and check out all the new gadgets and radios we plan to reveal this year! Also keep in mind that our merchandise shop is online and fully stocked with awesome clothes and accessories. Profits will go directly to YOTA! We hope to see you all at Friedrichshafen at the YOTA and Oevsv booths! If not, see you in Wagrain, your Yota-Austria Team! As you know this year’s YOTA event will take place in Austria. We had so many registrations for the event that, because of the accommodation and also the good organization and flexibility, we are able to host the event for not just 75 but around 110 youngsters from all over Region 1. We’d like to show our gratitude towards IARU for providing us with additional funds to make this all possible! Furthermore we are planning to invite 2 youngsters from each other region to make the event even more international and spread the YOTA/ham spirit even further. Organization is going full steam ahead and preparations are being made to make it an unforgettable experience for all of you. The official YOTA 2016 Austria logo can be found in our album! If you’re looking for some YOTA Austria merchandising, have a look here! See you in Wagrain, your Yota-Austria Team! 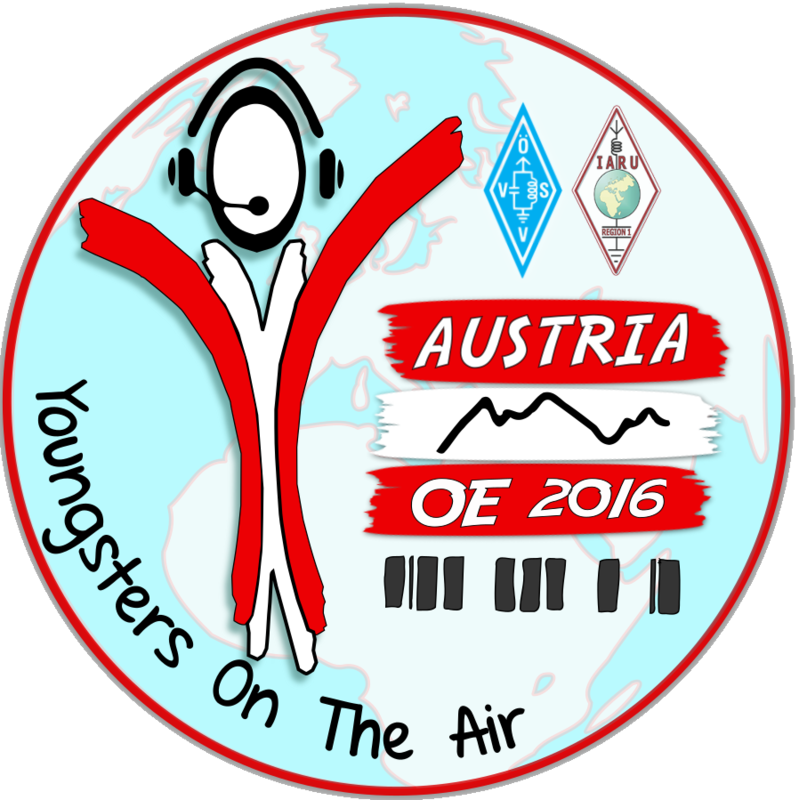 The 6th edition of Youngsters On The Air will take place in Austria. OeVSV (Österreichischer Versuchssenderverband), which will celebrate their 90 years anniversary, will be hosting next YOTA summer event. 75 Youngsters will be invited to travel to the Austrian Alps to enjoy a program with many new elements compared to previous years. It will be a great experience for all participants which they will never forget. To get a better feeling about this, have a look at the gallery from previous events. Each IARU member society is invited to take part with a team. A team consist of maximum 5 persons, 4 Persons with the age 15-25 years and one person is dedicated as team leader. * All participants, including team leaders, should take part in the entire program. * A team leader should be in a good health condition, which means that they can take part in the entire program and take care of their team members. All other costs (accomodation, food, activities) will be covered, main funder of the event is IARU R1. If your member society is interested to participate, please respond to austria@ham-yota.com by 31 December 2015 by sending in the application form. There is a limit of 75 participants. Make sure you will apply in time. We will announce the participating countries shortly after the deadline. YOTA 2016 will take place in Austria! The 6th edition of Youngsters On The Air will take place in Austria. OeVSV, which will celebrate their 90 years anniversary, will be hosting next YOTA summer event. 75 Youngsters will travel to the Austrian Alps to enjoy a program with many new elements compared to previous years. To highlight some of the workshops: EME-activities and a SOTA activity in the Alps will be part of the program. Very soon the application for participants of this next YOTA summer event will start.